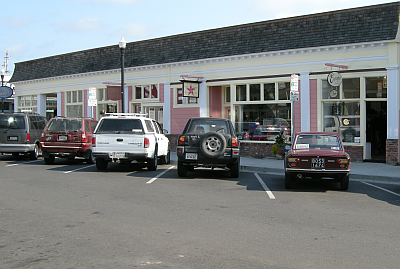 I believe my Vision is shared by many residents, business owners and workers in Fort Bragg. It's about the quality of life here, and I want to see a town where you can feel safe walking home day and night, where you can earn a living wage all year round, where you can shop at many different small businesses, and where you can enjoy our many wonderful family friendly restaurants, tourist attractions and beaches. 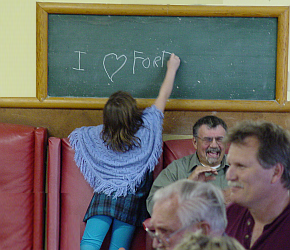 I want a town where your children will want to stay and raise their children, where people young and old will take ownership and care enough to steward Fort Bragg long into a prosperous future. Of course, the only way that's going to happen is for all of us to begin working towards those worthy goals without delay. And if I'm elected to the Fort Bragg City Council, I plan on working with caring and concerned citizens like you, to lay the foundations to make those vitally important things happen. I don't want to give you empty campaign promises or vague ideas without potential solutions, that's not how I roll. Instead, I'll work with any interested citizens to define the quality of life issues Fort Bragg faces, and then work with you to identify potential solutions toward achieving those goals. And I'll start the dialog by stating my belief that Fort Bragg's prosperous economic future lies in having a rail connection to the 'outside world'. As it is now, our remote location makes it quite expensive to bring freight to and away from Fort Bragg, and during the winter months slides on Highway 20 and flooding on Highway 128 delay our goods even longer. 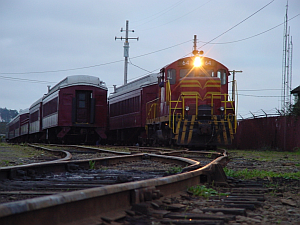 A rail connection would solve several problems that are stopping Fort Bragg from growing and thriving. It would allow more business to locate here, it would considerably lessen truck traffic on Highway's 20 & 128, and it would allow the influx of more tourists via train, who could then rent bicycles and/or small in town electric vehicles to explore our City. I realize that I'm not the first person to see the railroad as a solution to our economic woe, and just because previous efforts were unsuccessful doesn't mean that we can't be. I believe that with our new Congressman, and some fairly recent positive changes at the North Coast Railroad Authority, that we do have a chance of making this happen. I also believe that until we can get a rail connection, we'll need to start and promote small businesses in order to stimulate economic growth. There is room in Fort Bragg for many small specialty businesses, and we're very lucky to have a City that supports small business and an organization like the West Company which is available to help with all manner of small business start-up/financing information, training, and even low interest loan programs. 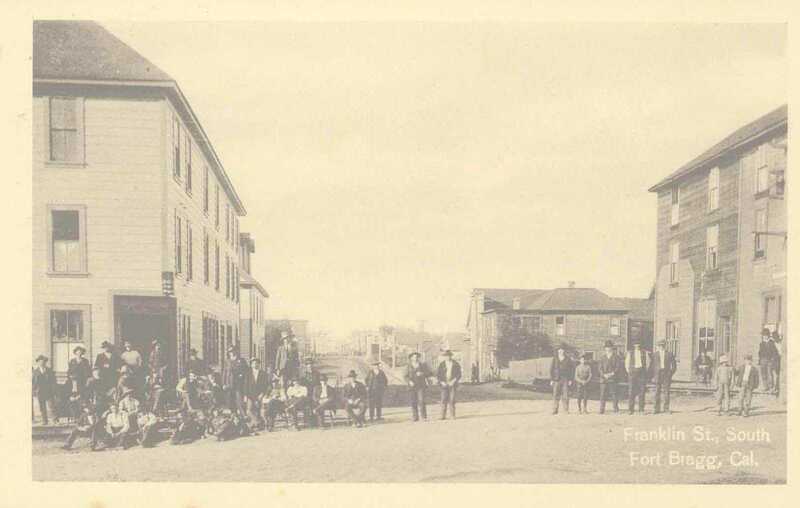 Small business owners could form a group to market their local specialty items under a custom designed "Fort Bragg, California" label and sell them worldwide. A dedicated website that has a single information page per company, with a link to their website would strengthen the "Fort Bragg, California" brand, and direct potential customers to their websites. We also have many artists and craftspeople who could take advantage of this type of marketing, and with time, a solid 'brand' could develop. This could go a long way towards lowering unemployment and raising the World view of Fort Bragg at the same time. 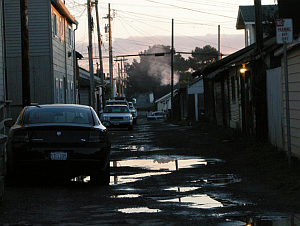 But getting back to local issues, the back alley's of Fort Bragg are in dire need of repair, and while the City has done everything that they can to acquire funds to make those repairs, the funding generally hasn't been available. Other ways must be found to make these long overdue repairs, and if elected, I'll work with Supervisor Gjerde and Congressman Huffman in an attempt to secure the funds to pave our alley's. 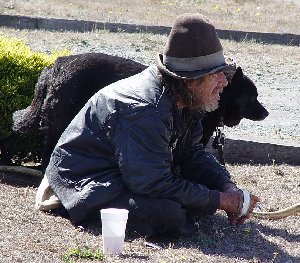 Another issue that Fort Bragg faces is the homeless. As I'm sure you're aware, there are quite a few homeless folks in and around Fort Bragg, so many in fact, that tourists complain of being harrassed for money, which won't be good for our hospitality industry if this kind of behavior which generates 'bad press' continues. Most of them do their best to not cause any trouble, but there are several repeat offenders that cost the City and Police Department a substantial amount of money every year. This is an issue that will only worsen, and steps need to be taken to deal with this costly 'invisible' social issue. I can't offer an easy solution, I do have some feasible ideas but 'red tape', City, County, State, and Federal, keep the solutions that I could offer unavailable and I see no easy way to work around them. And groups like Love In Action have done what they can to address the problem, but none of these programs address one of the core issues of housing and intoxication therein. All current housing is 'dry' and intoxicated citizens are turned away into the cold or rain. Where's the humanity in that, our community can do better than that. Viable long term solutions need to be found, because these are human beings we're talking about and for what ever reason, they've come upon hard times, and they have feelings and every right to exist in our community. So to turn a 'blind eye' to them doesn't reflect well upon our community as a whole. Yes, some of them are chronic troublemakers and need some sort of positive intervention to keep them from re offending and costing society time and money, so I'd sure like your help in finding positive solutions to this troublesome social issue. Of course, these issues I've brought up aren't all of what I envision for Fort Bragg, but these issues are what I've heard quite a bit of talk about among locals, and while I want to focus on them, there are many other issues to deal with and I'd sure like to hear any of your own issues with the City as well. All writings on this website are Copyrighted by Derek Hoyle ©2013 and are solely mine unless otherwise clearly attributed. Disclaimer: All images on this website containing public officials and other members of the public do not imply support for my campaign, they are used for representational purposes only.